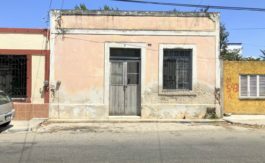 Located on a lovely and quickly gentrifying block of Avenida Reforma (Calle 72), this classic beauty is just waiting for a new owner, a new exterior color and a great restoration plan. Located just outside the INHA designated historic district, planning a new home here will be even simpler and open to more possibilities than most downtown properties. Inside there are many original doors, amazing pasta floors and a great existing layout. There are two bedrooms and one bathroom presently but plenty of room for expansion and a large pool and garden. 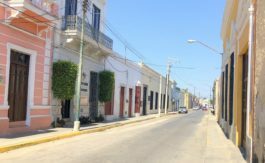 This is great opportunity to restore a classic beauty that is close to both the Montejo and Avenida Colon areas.